Setting up a school radio station? 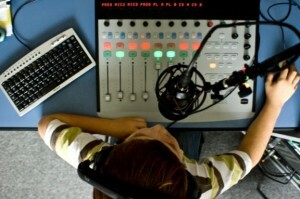 With over a decade’s experience as a teacher and lecturer and several more as a radio corresponent at the top of the industry, I am uniquely placed to provide consultation and hands-on training in the creation of a radio station for your school, college or university. Working in partnership with Synergy School Radio, I can advise on getting the right package for you and walk with you on the journey from the initial concept to the moment you go on air for the first time, and beyond. Get in touch by email or via LinkedIn to discuss how we can work together.